GALION – Three Galion organizations will take part in Ohio Open Doors this September. 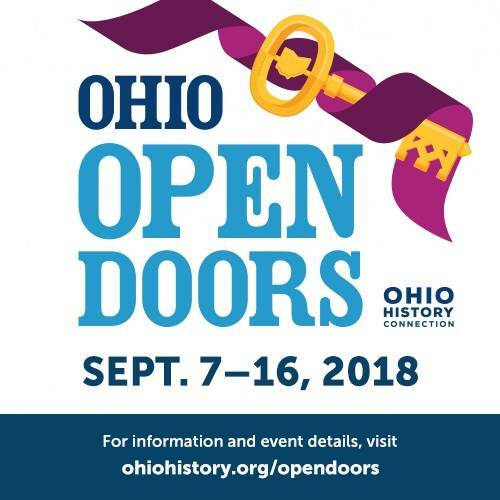 Discover Ohio’s amazing heritage during the statewide event on Friday, Sept. 7, through Sunday, Sept. 16, as historic buildings and landmarks open their doors for special tours and events. Brownella Carriage House Museum, 132 South Union Street. noon-4 p.m. The Galion Historical Society will open the Galion History Museum and Gift Shop located in the carriage house of Brownella Cottage. This local history museum features exhibits of Bishop Brown’s personal belongs, Galion military artifacts and uniforms, and artifacts and memorabilia from prominent Galion businesses and organizations like the Red Cross, Galion Iron Works, and the North Electric Company. Please note Brownella Cottage will NOT be open during the event. Galion Big Four Depot, 127 North Washington Street. noon-4 p.m. Learn about Galion’s railroad heritage. Galion Depot, Inc. will offer guided building tours of the Depot, which has not been open to the public in nearly 15 years. There will also be information about the upcoming rehabilitation for the building. Gill House, 342 Harding Way West. 1-4 p.m. Preserving Galion will host tours of the landmark house designed by noted architect Louis Kamper, which was visited by Thomas Edison and Henry Ford. Preserving Galion will also be offering a free, abbreviated version of its new “Secrets & Scandals” Galion History Walk in Uptowne Galion. Admission is free to each of these events. Visitors who tour all three Galion sites on Sept. 15 will be entered into a special drawing. A jazz and art festival is being planned in Uptowne Galion in coordination with this event. Look for more information soon on the jazz festival.